Normally we Street Photographers are a lonely species. We go out on the street to hunt alone and get the desired pictures. Walking in big groups has a detrimental effect because the group is too conspicuous. When a group of photographers walks through the city and takes pictures, then it doesn’t come unnoticed. Because of that, most of us Street Photographers like to walk alone, or in very small groups of two or three people. Nonetheless, I believe that there is a big Street Photography community out there and that it is important to work together. Human beings are social and need the contact with other people. Therefore I want to present the most reputable and known Street & Documentary Photography Collectives that are active and create stories that are seen by the whole world. Learn how they work together, be inspired by their photographs and maybe see them as role models for creating a collective Yourself? Personally, I started Street Photography in early 2015 with very simple equipment. Although I was very active in social media from the beginning, I didn’t really meet any other Street Photographers in Berlin and felt that there isn’t really a big “scene” here. Of course, I was wrong and the longer and more intense I practiced Street Photography, I met a lot of other Street Photographers. To my surprise, not everyone is active on Social Media, has his own portfolio website, or simply puts an effort on his online presence. Some of the Street Photographers are content in just going out on the street and doing Street Photography for themselves and therefore I wouldn’t have met them if it weren’t through other photographers or events. This is where the first benefit of being in a photography collective comes into play. The network of people expands with each photographer in the collective. Over time, You will have met some interesting people to work with and others have as well. Together You can combine the contacts and benefit in many ways. Maybe You are searching for new inspirations and a certain style and one of Your friends know a photographer who You could learn from. Or You are traveling and need a place for a night, or just local photographers to go for a walk with. Together in a group, You will get to know a lot more people. Photographers that can help You out and also people that You can share Your knowledge with. Normally I would describe myself as a very good autodidact. I have no problems learning things by myself, following instructions from books or videos. Street Photography was the same and I consumed a lot of photography tutorials that I found interesting. From full-time videos like everybody street to Interviews and features of Bruce Gilden. This learning material showed me, that I should always push for more and that I needed to get out of my comfort zone to become a fearless and better Street Photographer. Meeting more experienced Street Photographers I looked up to and were willing to teach me, has helped me tremendously. I doubt I would have ever made the same progress without their help and working together means to learn from each other. Street Photography is one of those genres that looks easy, but after some time when You grow and become more proficient Yourself, You realize the depth of this form of photography and how hard it can be. Being in a photography collective means that You always have some friends and professionals that You can ask for feedback and critique. Getting recognition as an individual photographer is very difficult in today’s world. 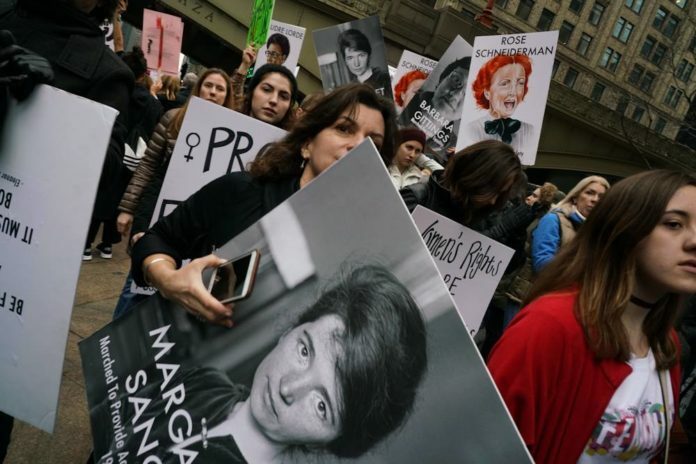 I heard it myself from reputable newspapers, that my images would have the quality to be printed, but that they work with their usual groups who supply them with images. On the other hand, I have to be so fair to mention that we, as a collective, have gotten the opportunity to participate in exhibitions, that we probably had as individual photographers. Is that fair? No, it isn’t and it is a pity that quality isn’t the only metric when it comes to exhibitions or publications. Your name, reputation and social reach are today a big part when it comes to exhibitions. I am honest in telling that fairly certain I wouldn’t have the opportunity to show my pictures at some galleries if I didn’t have the support of my photography collective. As a group, it is a lot easier to be recognized and even though we are a very local team, we are approached by international exhibitions that want to work with us. If You work alone, You can have the best portfolio in the world and still face problems when it comes to reputable publications. Instead, team up with other great photographers and work together. Grow as a photographer with the help of Your friends, learn and teach, build a brand and market the group as well. Being in a photography collective with the right peers will make a lot of things easier and it is great to view new impressions from their lens. I want to open the list of photography collectives with the most influential and known collective out there. Magnum Photos is more than a “simple collective” of photographers that share a common interest. Primarily it is an agency that markets the books and photographs of the collective members. 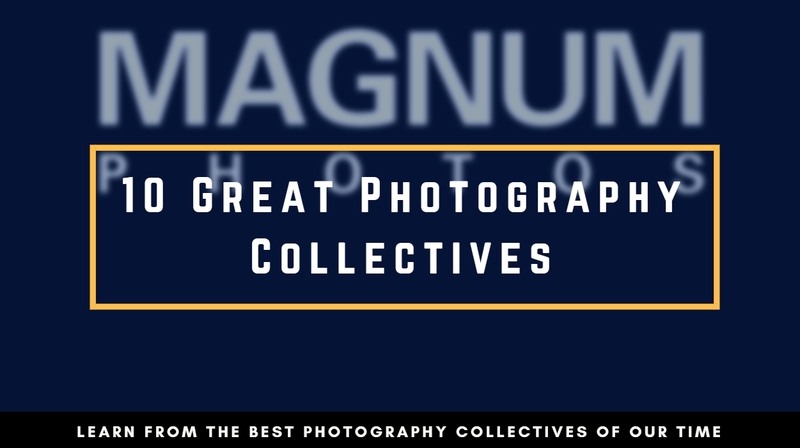 In 1947 Robert Capa, Henri-Cartier Bresson, David Seymour and George Rodger found Magnum Photos with the goal to retain more control of their image rights. The agency was a counterweight to the influence of powerful magazines that didn’t treat the photographers very well. Being a member of Magnum Photos is still one of the biggest honors You can receive and it is a very secluded club that chooses new members very selectively. 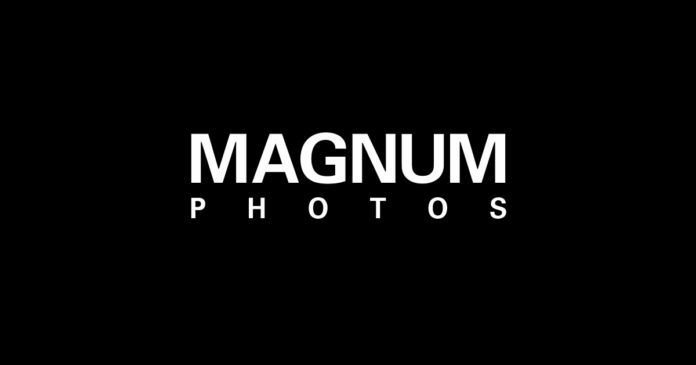 Today, the agency has around 50 photographers including big names such as Bruce Gilden, Elliot Erwitt or Steve McCurry. Being one of the best known Street Photography collectives, In-Public is active since 2000 to promote the genre of Street Photography. They proclaim to provide a home for Street Photographers and to be a non-commercial collective. Meaning, that their main goal isn’t to promote books or prints, but are more focused on helping to spread Street Photography in general. Nonetheless, the members of In-Public are very active when it comes to publications, or workshops and the collective is home of the best Street Photographers of today. Including great names such as Siegfried Hansen, Matt Stewart, and David Gibson. They are actively worldwide including photographers from Europe, United States, and Asia. Being a member of a photography collective myself, I also want to use this article to present the group that I am part of since early 2016 and that has supported me a lot in becoming a better Street Photographer. As already mentioned at the beginning of this article, we Street Photographers fought alone and although I followed some of them on Flickr, Instagram or Facebook, we didn’t really meet in person. I had the impression, that there aren’t a lot of active Street Photographers in Berlin, but meeting my peers Chris Candid, Oliver Krumes, Roland Groebe and Martin Waltz should teach me that I was wrong there. We found the collective with the intention of working together on different projects as a group. Be it exhibitions or personal photography series, we have managed to exhibit our work at the Fotogalerie Friedrichshain and the ASP Awards. In 2017 we extended our group with the introduction of Street Photographer Alex Pfeiffer. Being an active member of a photography collective is not always easy and it does come with some additional work and compromises, but it is the one action that helped me to become a better Street Photographer the most. Apart from the active street walks, the collective is also a great opportunity to welcome other photographers from all over the world in our hometown Berlin. That we are residing in the same city is also one of our trademarks, since almost every other collective is now acting globally with photographers that are scattered all around the world and without the opportunity to meet in person. 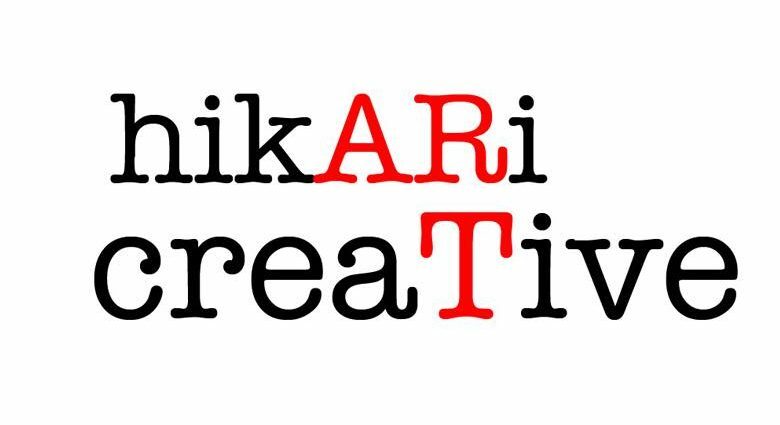 The Hikari Creative collective is one of those examples that shows how powerful a collaboration can be. I first discovered this collective on Instagram where they have gathered more than 150k followers. An amount, that helps them to publish their work and get it seen on Instagram. What is so great about this collective is, that although they are also spread across the globe, is that they have a strong focus on black & white photography. Not only Street Photography, but a lot more Documentary Photography as well. So if You are interested in following some strong Black & White work, keep an eye on this collective and its members. The Burn My Eye collective is a very big group, yet has the ability to keep a very high-quality standard when it comes to their series and work. Their self-proclaimed goal is to “to burn through society’s veneer and truly see”, which is also the origin of their very original name. In addition to featuring its own members, the collective also features outside photographers in Interviews and the collective also offers some workshops. 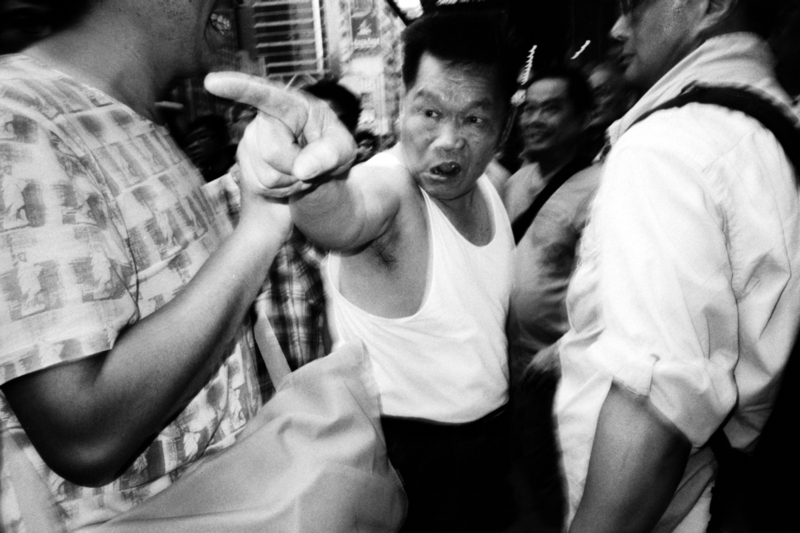 The Street Photography scene is striving and prospering in Asia. A lot of young photographers are interested in showing their own vision of this beautiful continent. 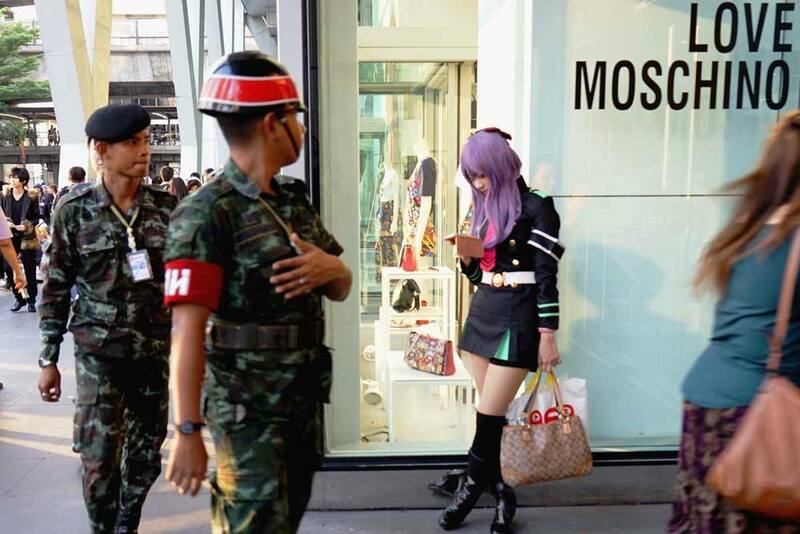 The Street Photo Thailand collective is an association of 16 regular member and 4 guests, all based in Thailand. Together, they are organizing workshops and are working closely with the Street Photography festival in Bangkok. “A community for those passionate about street photography and the art of seeing.” is their slogan and You can convince Yourself if that motto is to the point by having a look at their numerous galleries. On this list of photography collectives, Noor is the most reputable agency and foundation when it comes to modern photojournalism. Active since 2007, Noor is not only a collective but an agency and foundation as well. The collective is home to 16 photographers from 13 different countries, that are documenting their stories all around the world. The Noor foundation is also offering free-of-charge masterclasses for talented young photographers who seek to improve their editing and visual storytelling skills. The academy will be held in Poland, Sweden, and Belgium in 2018. When it comes to photojournalism, Noor Images the first address. So far all the photography have a common topic, either with a focus on Street Photography, or Documentary Photography. Though some have a common style, the Full Frontal Collective takes it a step further and only features photographers, who in addition to their camera also use a flash. Their style follows the vision of Bruce Gilden, Richard Sandler, or Weegee. The group is dedicated to the flash and if You are looking for some flash action then You should have a closer look at this group. What is great about this group is also their diversity and distinct style of their photographers. You can see the slightly gritty and Black & White style of Torsten Hendricks, the very vibrant and close style of Salvatore Matarrazo, or the unique approach by Boris de FLASH. 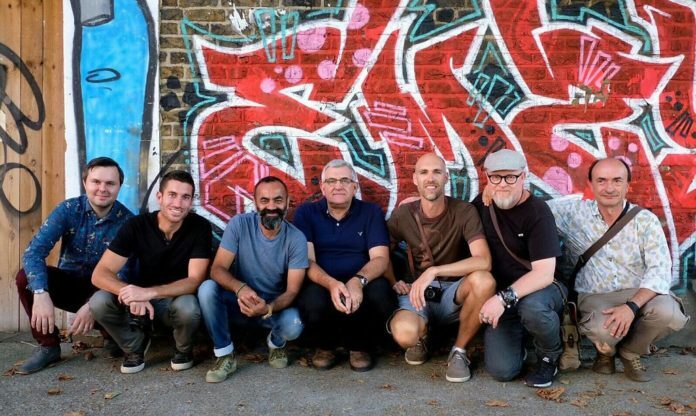 The Street Collective is an alliance of nine Street Photographers, all from different countries. Together, they try to become better photographers by forming this group and having a constant exchange about their photography. As a collective, they also had multiple exhibitions including international metropolis like London or Miami. The Vivo collective has been established in 2009 and is close to their tenth birthday. The lifespan of collectives is normally very limited and being 10 years together as a group is an accomplishment. They aren’t only specialized in Street Photography, but also work in the fields of Photojournalism and even Fine Art.